Okay, so though that part of the definition still stands, there’s no denying it has expanded significantly. Today’s recruiters are defined by a variety of responsibilities outside of the traditional scope of talent acquisition. 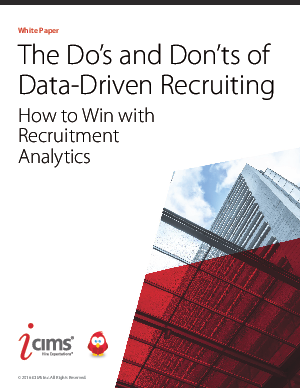 Being a successful recruiter now means being someone who understands digital marketing, someone who can think like a salesperson, and, most recently, someone who can collect and interpret recruitment data.